Scottish pro golfer Andrew Coltart recorded a video of one of nature's most legendary rivalries at the Nedbank Golf Challenge in Sun City, South Africa. The Instagram clip shows what appears to be a cobra facing off against its age-old enemy, the mongoose, on a cart path at Gary Player Country Club, where the tournament is held. South Africa's golf courses are often teeming with wildlife, with players contending with snakes, monkeys, and even hippos as they complete a round. 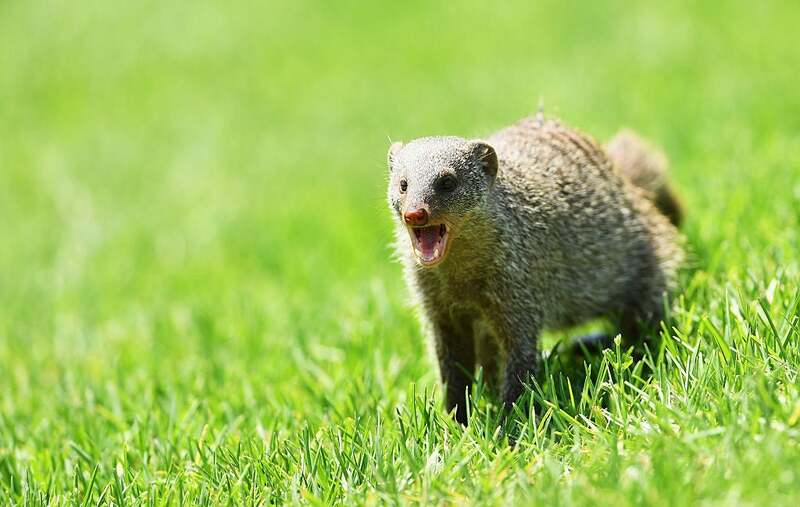 Last year at the Nedbank, a gang of mongooses "stormed the green" during play. Coltart wrote, "It's wild over here."